According to the U.S. Small Business Administration, small businesses have been growing over the last decade while larger companies have been shrinking their workforces. Small businesses now provide more than half of all jobs in this country, and also account for just over half of all retail sales. Locally, our economy has taken a hit in recent years from reductions in the state workforce, but the number of small businesses continues to increase, and the Springfield metro area unemployment rate has consistently been one of the lowest in the state. Small businesses are the backbone of our economy, but due to their size they may not individually get the recognition they deserve. Since 2003, United Community Bank has partnered with Springfield Business Journal to recognize outstanding small businesses in our community. Each year, 15 businesses with fewer than 15 employees are selected for this award. They must also have been in business for more than two years and be located in Sangamon or Morgan county. UCB will host a reception at their Montvale branch to recognize the selectees, and the Honorable Leslie Graves will be the keynote speaker for the awards ceremony that follows. Celebrating the achievements of the 15 small businesses who are profiled in this issue demonstrates that the Springfield area is a great place to work and live. Congratulations to this year’s selectees, who represent a wide variety of industries but have all been successful in our community. Thank you to our sponsor, United Community Bank, for making it possible to celebrate these local businesses. Judge Graves will be entering her 15th year on the bench this December. In 2010 she was elected Presiding Judge of Sangamon County and in 2012 she was elected Chief Judge of the six counties of the Seventh Judicial Circuit. She is the daughter of Gene and Norma Graves. Gene was very active in Illinois politics in the 1960s and 70s and Norma served as City Clerk of Springfield for three terms. Pat and Carole Keating opened the doors to central Illinois’ largest concert venue hall in 2012. They purchased a former nightclub that had sat vacant for almost 30 years, totally gutted the building and started over. 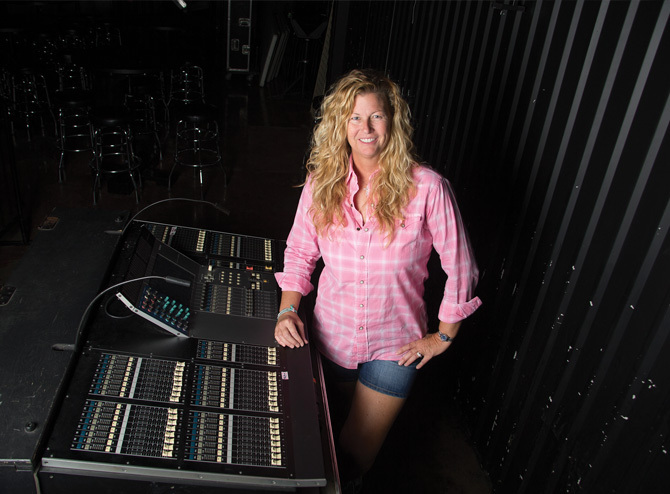 Both love music with a passion and Pat regularly travels to Nashville to book talent for the venue. Before they opened, the couple received some great advice from a famous songwriter who said Boondocks was going to be big. A lot of up-and-coming artists have played there and the venue attracts national acts. Florida-Georgia Line played one of its first shows at Boondocks. Carole strives to keep ticket and drink prices reasonable so people can come out and enjoy several shows a month in an intimate setting. She credits an amazing fan base for supporting the shows and making Boondocks a success. Upcoming shows include the Charlie Daniels Band, Kentucky Head Hunters, Sam Hunt and Cole Swindell. The music industry is a small industry and people know Boondocks. Café Moxo has been serving Springfield diners since 2007. 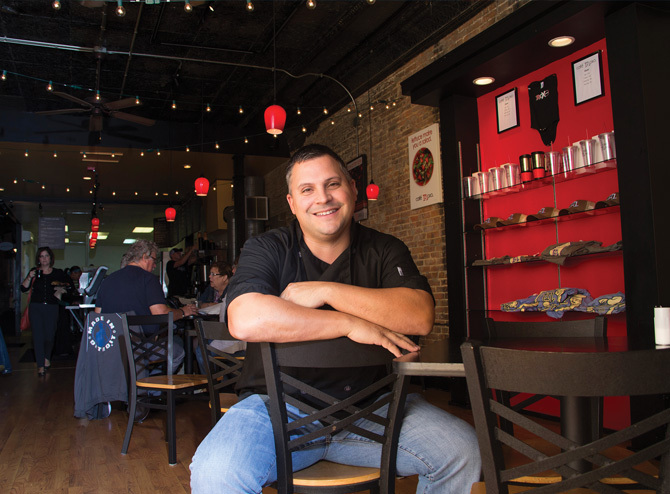 Owner Mark Forinash had no expectations when he moved to Springfield and opened a restaurant. 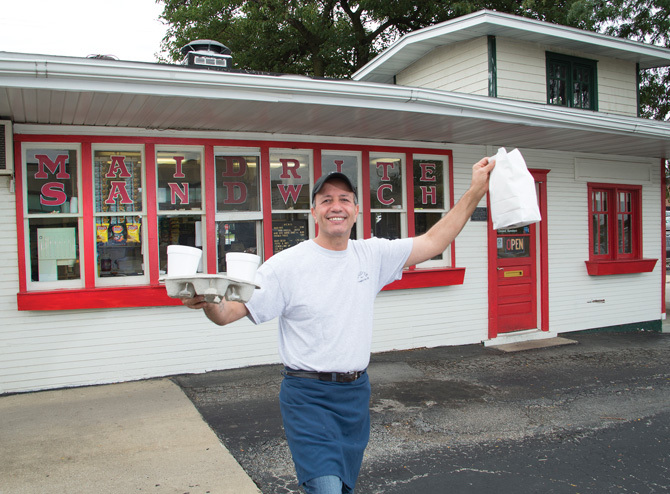 He wanted to offer quality food served a certain way that he saw a need for in Springfield. He is passionate about customer service. He believes customer service is about more than food, it is about atmosphere. Customers have certain expectations when they eat out and he and his staff ensure the level of service each customer receives matches their expectations. Customers appreciate the attitude they get when they come in. It is less about how ingredients are put together than how they are served, and this sets Café Moxo apart from its competition. The Cookie Factory Bakery has been selling its fresh-baked mouthwatering cookies to hungry customers since 1977. Located on the lower level of White Oaks Mall near the carousel, Randy and Carin Shaw purchased the business from Ed Dowling in 2006 and completed a major remodel two years ago. The store specializes in cookies for all occasions and prides itself that none of its cookies or cakes are pre-baked. The Cookie Factory Bakery caters to everyone’s individual needs and offers 13 kinds of cookies, decorated cookie cakes, specialty cookies and cakes made to order, along with plain Rice Krispy treats and more in addition to a selection of sandwiches and soups. Cookie varieties include chocolate chip, M & M chocolate chip, snickerdoodle, oatmeal raisin, triple chocolate chip and sugar cookies. 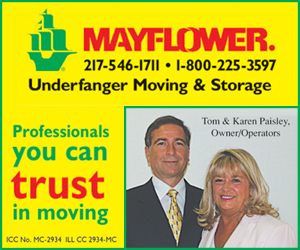 Randy or Carin Shaw are each happy to work with customers personally to fill orders. Custom orders must be placed 24 hours in advance. Cookie cakes are available in three sizes: 11-inch, 16-inch and rectangular sheet cakes. Mark and Laurie McWilliams specialize in landscape architecture and installation along with outdoor lifestyles. The couple opened CopperTree Outdoor Lifestyles eight years ago where they work with clients to both design and build pleasing outdoor living spaces and accessorize them. Mark handles the design and building aspects of the project while Laurie accessorizes the space. 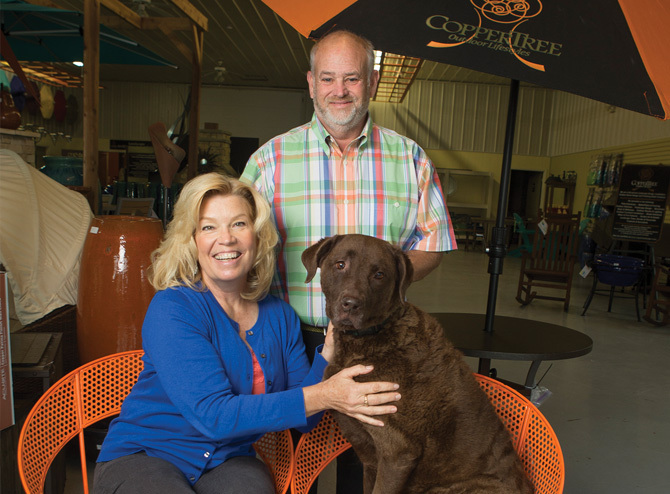 CopperTree Outdoor Lifestyles differs from a traditional plant-oriented garden center. The business focuses on furniture, containers, fountains and garden art. Recently they opened a new division called CopperTree Organics and are working with a California company with over 40 years of experience. Current trends in their industry include pool designs, fire features and outdoor kitchens. A big part of their business is creating what they describe as “cool entryways” for homes. 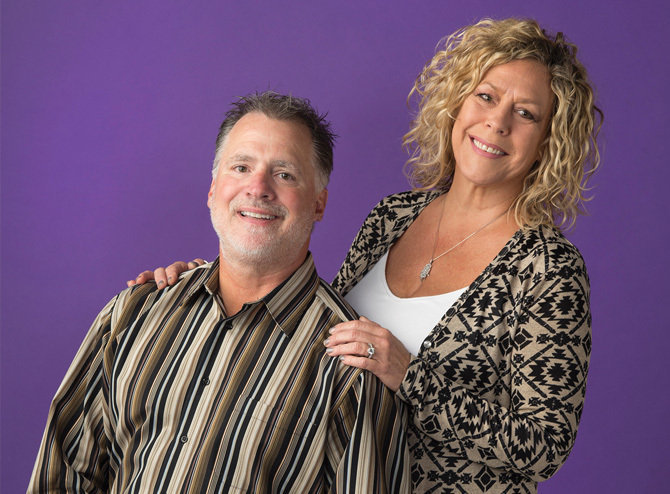 Mark and Laurie enjoy building relationships with their clients. They are extremely creative with design ideas and offer clients many options. They work with their clients to create customized outdoor living spaces. D & J Café opened its doors 40 years ago and is Springfield’s oldest “mom and pop” diner. Family owned and operated, Dennis Price started the business and his son, John Price, bought it out three years ago. Prior to this, he and his brother leased it for 15 years. Everything is made fresh daily, from the vegetable soup to Salisbury steak, using local ingredients when possible. John Price believes in shopping local rather than spending his money outside of Springfield. He says that if an item isn’t on the menu, just ask. If he has it, you can have it. He credits the fact he is still standing to community support. The Habitat for Humanity Restore opened its doors in 2002 and generates income for Habitat for Humanity while allowing it to focus on its primary mission of building. Colleen Stone is the current executive director. 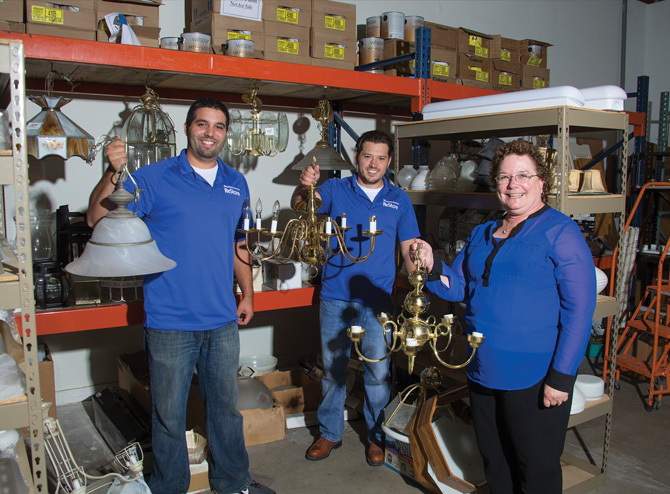 The Restore fills a niche in the market and takes items that other nonprofits cannot, including building materials like doors, windows, cabinets, bathroom vanities, toilets and light fixtures as well as leftover lumber and drywall. The store helps keep these items out of landfills and is open to the public. The most frequent purchasers are landlords who are renovating rental properties. The public can purchase good used items at a great price. Pickup service is available for large items. By law, the Restore cannot accept dishwashers or mattresses but can take just about everything else. Stone said donors come from all over. The Restore will soon be moving to its new location at 2744 South Sixth St. in 2015 and will increase its space four times. Harry’s Pharmacy has been an Auburn landmark since 1976. Pharmacist and owner Scott Borntreger credits the founder, Harry Buck, with bringing him and his family to Auburn to take over the pharmacy from Roger and Dee Lubben in 1991. A family-centered, customer-oriented pharmacy, Harry’s Pharmacy carries medical equipment and has a full card and gift line. Borntreger goes out of his way to do what is best for his customers and his cellphone number is on the door. Harry’s Pharmacy offers a unique service no other pharmacy does: specialized medication packaging. It also sends out refill reminders and offers home delivery service to Auburn, Waverly and Pawnee. Borntreger is also developing a series of programs to help his customers stay healthy. His employees reflect the business and are the reason customers keep coming back. Two have been with the pharmacy for 23 years. Harry’s Pharmacy prides itself on being part of the community. When you deal with Harry’s, you deal with someone you know. Cliff and Kelly Hughes purchased Jamie’s in Virden in 1993 and added The Diamond Mine to the name. The business has been up and running as a jewelry store since 1970. The couple are both jewelers. The store carries a line of fine jewelry from unique designers including Gabriel, Allison-Kaufman, Breunning Gorman and Kelim along with private-label watches, fine silver items and Debbie Brouss purses, while also specializing in custom jewelry. Jamie’s The Diamond Mine does everything from engraving high school plaques to setting three- and four-carat diamonds. KB Computer Consulting, Inc. is a full-service IT company that specializes in working with small to medium sized businesses. 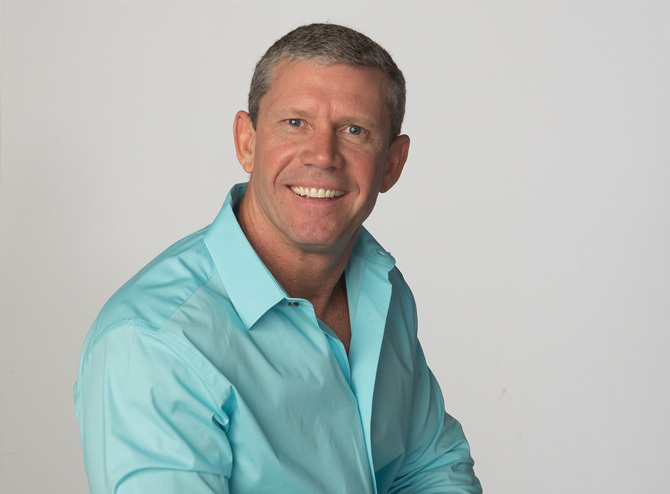 Karl Backs founded KB Computer Consulting, Inc., in 2000 to fill a niche for a consulting company that focused on attention to detail and customers that was not being met in the area. He and his staff offer managed IT services to central Illinois businesses and partners with Microsoft and Cisco. His staff installs a device on your PC or server which manages and monitors your computer network. Among the services KB Computer Consulting, Inc., offers are procurement, onsite and remote support, off-site hosting and cloud storage. KB Computer Consulting, Inc., offers customer service above and beyond to make sure every customer is satisfied and guarantees a technician will respond in four hours or less should a problem arise. The company prides itself on having a staff with a skill set second to none. 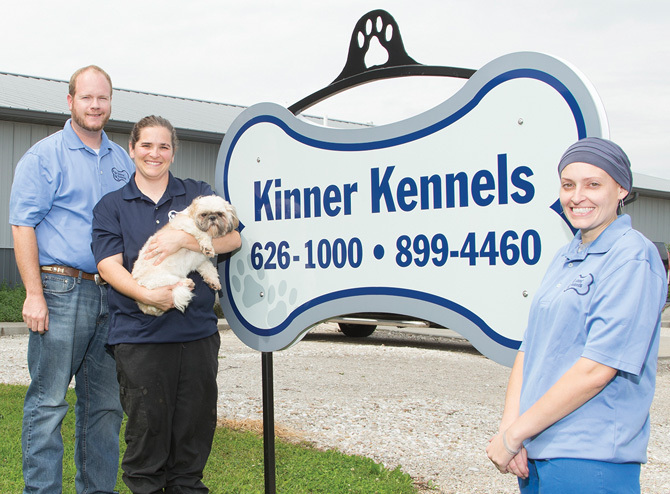 Kinner Kennels is licensed through the Illinois Department of Agriculture and offers a safe, fun boarding facility for pet owners. Owner Amy Kinner DeReinaeker opened the 36-kennel facility in 2006. She offers everything from half-day day care to extended boarding and grooming services. 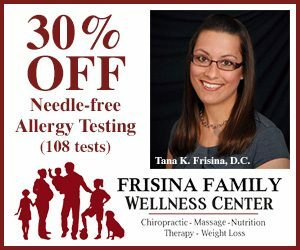 Ninety percent of her customer base comes from Sangamon County but she also draws clients from out-of-state who hear about her via word of mouth. The kennel offers individualized care for your pet. It is important to DeReinaeker that clients feel comfortable leaving their pet here. During the week, the kennel houses between 30 and 40 pets, with between 40 and 65 pets on the weekends. Each pet has its own accommodations with an inside and outside area for napping, eating and overnight sleeping. Kinner Kennels wants to ensure each pet is happy and healthy. It offers individual and group playtime four times a day. DeReinaeker would like the kennel to become a one-stop doggie shop and branch further into retail beyond its current offering of pet food. 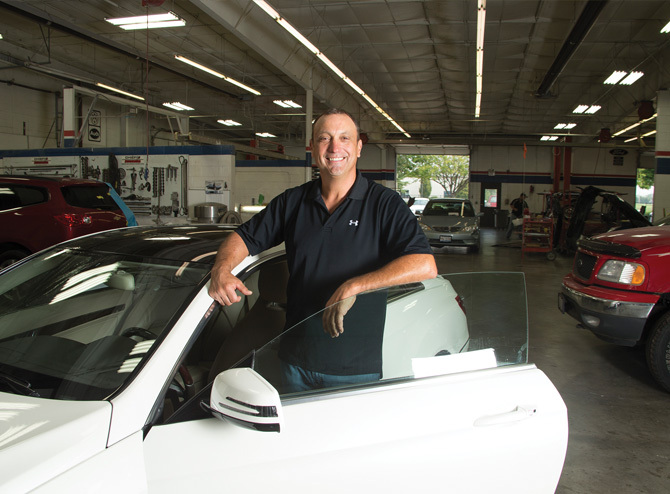 A lifelong Springfield resident, Anthony Kulavic opened a collision repair shop on Dirksen Parkway 21 years ago before building Kulavic’s Auto Body and moving to Wabash Ave. in 1996. At the time there was not much out there except cornfields. Kulavic focuses on getting people back in their cars after an accident. Whether you have a scratch, ding or dent, if your car has been involved in a collision he can help get you back on the road. He is also one of the few that does boat repairs. A little something extra Kulavic’s Auto Body offers customers who spend $2,000 or more is membership in the Forever Detail Club, which entitles them to four free cleanings annually. Lauterbach Tire and Auto Service has been in the Lauterbach family for more than 30 years. 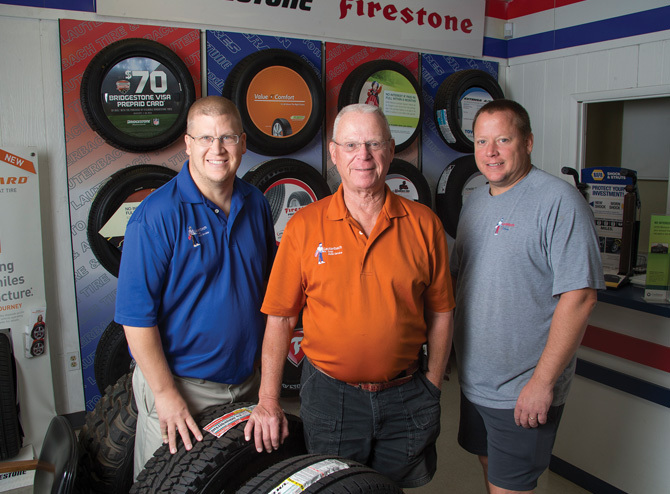 Springfield native Jay Lauterbach purchased the locally owned and operated full-service mechanical shop, which is now run by his two sons, from Bill Lewis in 1985 and changed the name to his family name. The shop had first opened in 1978 under the name Lewis Tire and later was known as Midtown Tire. Lauterbach Tire and Auto Service offers a full range of services. They feature Bridgestone and Firestone tires and also sell and service most tire brands. They carry tires for autos, light trucks, boat trailers, motor homes and lawn and garden equipment. The shop also does mechanical work, including wheel alignments, brakes, water pumps, cooling and electrical systems, along with performing complete diagnostic services and services national accounts. Lauterbach Tire and Auto Service offers outstanding customer service. When you deal with them, you deal with the owners. Their customers trust them and are happy with the work they do. The iconic Maid-Rite restaurant has been serving up its original loose meat sandwich to customers since the early 1900s. A Springfield tradition, the recipe hasn’t changed since 1924 – it still uses the same blend of seasonings and is made fresh daily using good quality meat. Sam Quaisi purchased the restaurant from Clarence Donley in 1996. Well-known as the nation’s first drive-thru restaurant, the Springfield Maid-Rite is the original franchise and still operates out of an old train caboose parked on a concrete slab and contains the restaurant’s original fixtures. Maid-Rite has been featured on numerous television stations. Located along historic U.S. Rt. 66, the building is listed on the National Register of Historic Places. Quaisi now offers overnight delivery anywhere in the United States. Quaisi said no one does what he does. The loose meat sandwich is similar to a sloppy joe and is served on a steamed bun with pickles and onions. Springfield natives George Coontz and his wife, Cindy, came across a company that designed and built customized organizational systems for the home when building their own home. He could see a future in the industry and it changed his entire life. His son, George, is now learning the business. The couple opened The Organized Home in 1989. There were only 25 businesses in the industry. 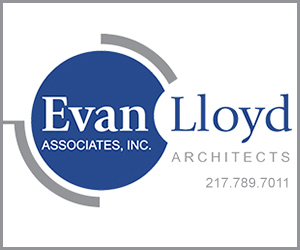 Coontz brings an architectural background to the business and his design ability sets him apart. 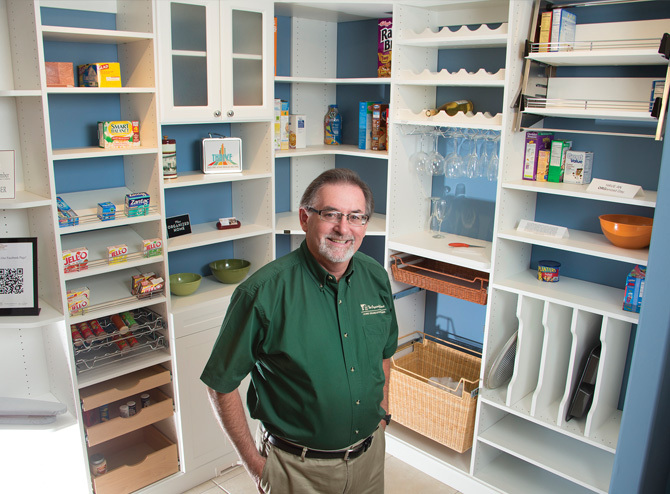 He analyzes clients’ existing organizational situations, then designs and builds a customized system to meet specific storage needs whether for a closet, pantry, garage or home office. Coontz says he uses superior products and all work comes with a lifetime guarantee. Coontz works within your budget to help reduce unorganized mess and relieve stress. He takes pride in having helped pave the way for where the industry is today. The staff at the Springfield Running Center has been professionally fitting people with the right shoe for their foot since 1979. 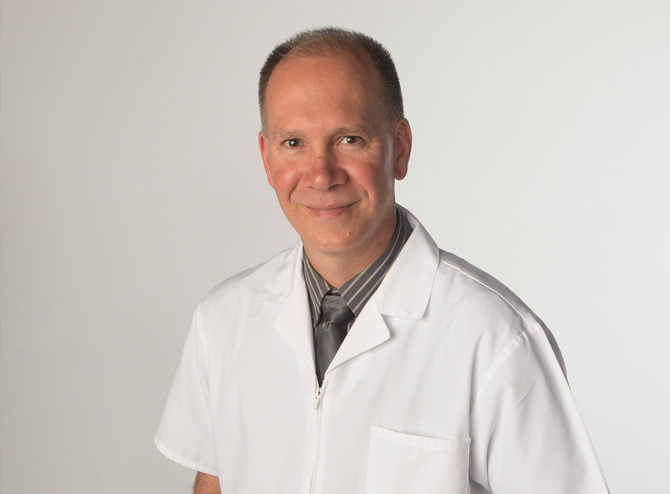 They work with runners, walkers and people with medical needs who are referred by their physicians or physical therapists. Tracy Dowell joined Matt Lamsargis and Chadd Morrissy as a co-owner of the business this year. 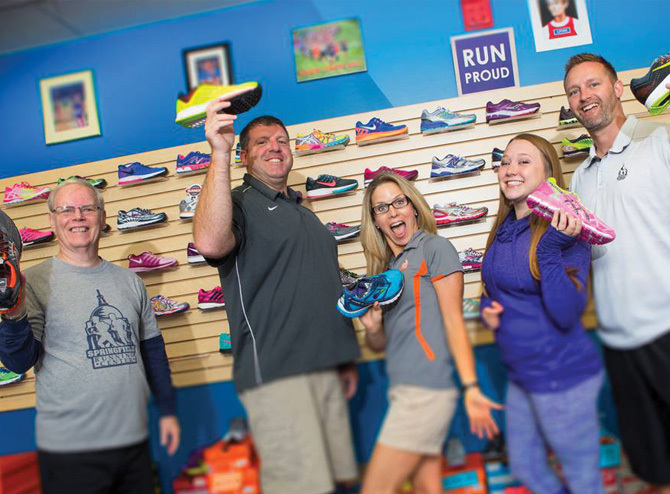 The Springfield Running Center prides itself on its customer service that sets it apart from the big box stores. The staff listens to the needs of the customer and educates them about the differences between shoes. The store carries a full line of shoes including brands like Nike, Asics, New Balance and Saucony as well as apparel, accessories and orthotics. The Running Center staff is trained to listen carefully to customers and the company offers instructional seminars on running and other topics. They want to educate their customers about how to get a healthy fit with the right shoe. The company is involved with the community and partners in local racing and sporting events.